Music extends and goes beyond enclosed spaces both physically and metaphorically. As complex phenomena, music practices are hardly to be confined by borders of any kind. At the same time, there is little doubt that music is strongly connected to notions of origin or ancestry, ideas of the sacred, to certain places, political claims, aesthetic norms, or economic exchange. In contexts like these, music practices are rendered and thus (e)valuated and categorized. We suggest building on these opposing tensions within music practices in general and discussing in particular the valuation and evaluation of diversity, space and exchange in transnational music practices. While scholarly research in the fields of transnational culture (Glick Schiller & Meinhof 2011) and (e)valuation studies (Lamont 2012; Kjellberg 2013) have received growing attention in recent years, their overlapping in academic research on music still promises interesting insights. The (e)valuation of diversity in transnational music practices has been a constant companion especially in world music, hip hop and electronic music, but also recently in the field of classical music, in debates that contrapose diversity and homogeneity. Diversity is almost considered to be a value in and of itself and is supported in international cultural policy (as in the UNESCO Convention on the Protection and Promotion of the Diversity of Cultural Expressions) and fostered by musicians from different world regions. However, diversity can blur distinction rules in some fields, as in computer music in its relation to electroacoustic art music and ‘popular’ electronic music (Haworth 2016), and its (e)valuation forms can vary so strongly that it can lead to new forms of homogenization under new categories. The (e)valuation of space in transnational music practices contraposes physical and virtual spaces and expounds the problem of borders. In physical spaces, transnational practices make clear that national borders are crossed and that the national state may become less important as a space for music practices. However, there is also a backlash against it in projects of nation branding (Gienow-Hecht 2016), which aim to reposition the nation in transnational spaces using music as a national symbol. This is part of a strategy of sound diplomacy that is mobilized by national states but also by cities in projects like music cities. During their visits to music festivals, consumers take part in cultural tourism and attach values to sites, cities or communities, reframing spaces. In virtual spaces, new aspects of valuation gain visibility in playlists and tags, which in turn establish new categories and create new borders and new forms of border crossing. The (e)valuation of exchange in transnational music practices connects music producers and consumers to our discussion. On the one hand, exchange focuses on the economic relationship between sellers and buyers, spanning borders and raising questions about product availability and the range of market coverage. On the other hand, exchange refers to relationships between musicians that cross the borders of their musical traditions and also between musicians and their fans. The appropriation of symbols, creation of styles and formation of communities are parts of this process. Exchange among peers might also need renewed consideration given the changing environments of transnational music practice. transnational politics of representation: How do transnational spaces influence the (e)valuation of authenticity? Which exchange practices legitimately lead to music diversity? transnational re-positioning of the nation: Which role does or can the nation state play in transnational music spaces? How do strategies of nation branding and sound diplomacy shape a transnational space for music exchange? transnational forms of inequality and differentiation: How do differences emerge and how are they valued in transnational music practices? Do transnational practices lead to new forms of unequal exchange? transnational regulation: How do different regulation instances or approaches shape transnational spaces for music exchange? Can copyright regulations foster diversity? transnational music creation: How do transnational spaces influence the creation of music? How are transnational music practices (e)valuated in terms of creativity and diversity? 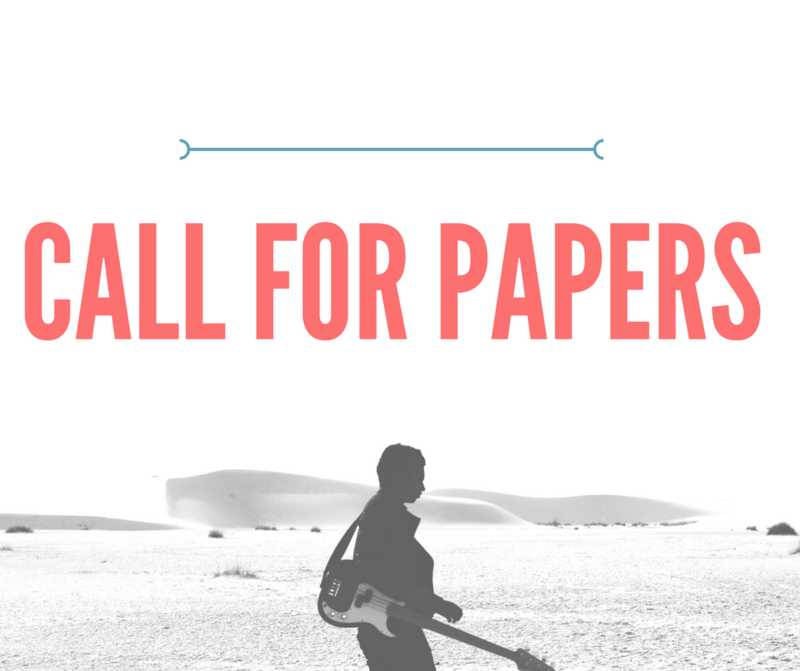 We are very open to further suggestions and encourage scholars from all disciplines concerned with music to join our discussion in Duisburg. We especially welcome applications from sociology, musicology, (music) business studies, popular music studies, anthropology, ethnomusicology, history or connected disciplines. In bringing together scholars from diverse disciplines, we aim to foster an interdisciplinary perspective on transnational music practices and, with that, scientific exchange. The working language will be English. The deadline for applications is April 2, 2018. Applications should include an abstract of not more than 300 words and a short CV. The applicants will receive notification regarding the acceptance of their paper by April 12, 2018. Full papers should be submitted by May 28, 2018, to allow for the preparation of discussions. More info: https://www.uni-due.de/soziologie/musicpractices.php .